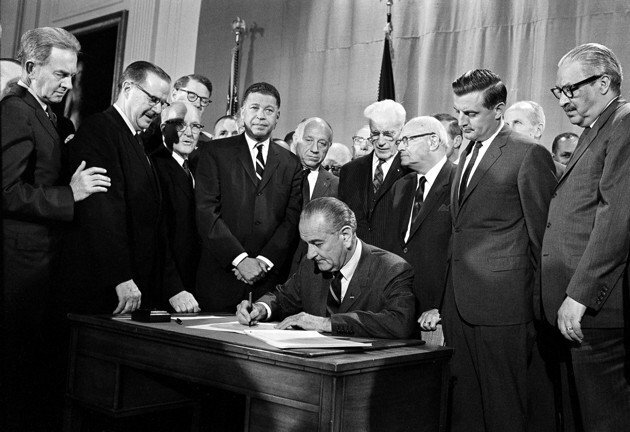 Honoring BHM: The Fair Housing Act of 1968. Did you know? The Fair Housing Act of 1968 passed with a bipartisan vote of Congress just one week after Dr. Martin Luther King's assassination? Another significant issue during this time period was the growing casualty list from Vietnam. The deaths in Vietnam fell heaviest upon young, poor African-American and Hispanic infantrymen. However, on the home front, these men's families could not purchase or rent homes in certain residential developments on account of their race or national origin. Specialized organizations like the NAACP, the GI Forum and the National Committee Against Discrimination In Housing lobbied hard for the Senate to pass the Fair Housing Act and remedy this inequity. Senators Edward Brooke and Edward Kennedy of Massachusetts argued deeply for the passage of this legislation. In particular, Senator Brooke, the first African-American ever to be elected to the Senate by popular vote, spoke personally of his return from World War II and inability to provide a home of his choice for his new family because of his race.